This recording offers a guided development towards a state of deep relaxation and calm. It will provide a means of unlocking and freeing habitual muscular tension and pacifying the autonomic nervous system. After instructions as to the appropriate position and situation in which to listen to the tape are given, you will be encouraged to slow down your breathing mechanism and allow yourself the time to release any tightness or tension in the body. Once the breathing rhythm and a general calm has been established you will be guided through a progressive relaxation procedure, focusing on each part of the body in turn, releasing muscular tension and easing stress while maintaining awareness of a gentle breathing rhythm. 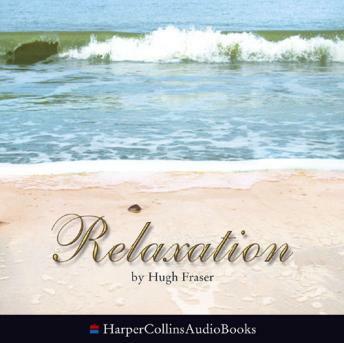 With the music and instructions you will drift peacefully into deeper and deeper relaxation. Once the stage by stage relaxation of the body has been completed you will be encouraged to imagine yourself lying peacefully on a tropical beach and move into an ever deeper state of relaxation, calmed and pacified. Finally you will be brought gradually back to a state of wakefulness, rested and refreshed.